Mentha compound prevent cancer’s spread to other parts of the body. For different properties, menthol is being used in food, soaps, oils, cosmetics and pharmaceutical industries. 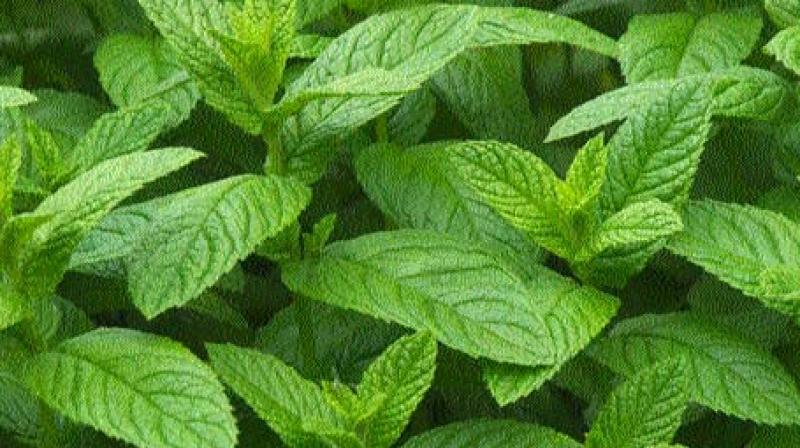 Lucknow: Scientists at Central Institute of Medicinal and Aromatic plants (CIMAP) and Council of Scientific and Industrial Research (CSIR) have identified that a compound called ‘L-Menthol’ derived from the Mentha plant, popularly known as mint, that can be used to fight cancer. Senior principal scientist Dr Ajit Kumar Shasany, head of the eight-member team, which carried out the study, published recently in international journal, ‘OMICS: A Journal of Integrative Biology’, said that it has been proved scientifically that L-Menthol can kill the colon cancer cell line without affecting the normal cell line. The CIMAP scientists, in their research, found that Mentha compound inhibits the division of cancer cell and prevent its growth and spread to other organs of the body. The research also claims that production of L-menthol is cost-effective, non-destructive and easily available in comparison to anti-cancer compound that is used at present and is derived from the bark of European Yew tree. While Mentha is available in abundance across the world, the European Yew tree is found only in Europe and some parts of Africa and Asia. Menthol, interestingly, can be derived easily without damaging the plant, whereas the European Yew tree has to be cut down for using bark for deriving anti-cancer compound. The discovery can be very useful for farmers in the city and the state, where Mentha is grown in large quantity.